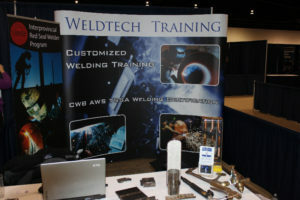 2013 Apprenticeship Career Connections Fair | Weldtech Training Inc. In March 2013, we attended the 2013 Apprenticeship Career Connections Fair. This event gave individuals a chance to see what opportunities are available in the skilled trades in Canada.